Dr. Felicia D. Stoler is a registered dietitian nutritionist,30Seconds contributor,exercise physiologist, expert consultant in nutrition and healthful living, author and a single mother of two. Dr. Felicia Stoler is also the most recent candidate for Congress in New Jersey’s 4th District! 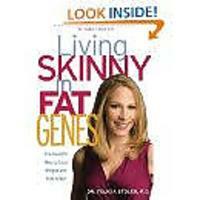 Felicia hosted the second season of TLC’s groundbreaking series, “Honey, We’re Killing the Kids” and is the author of “ Living Skinny in Fat Genes: The Healthy Way to Lose Weight and Feel Great.” She has also been a contributor for FoxNews.com and Active.com. Phew! Talk about being active and involved! We learned why Felicia decided to run for Congress and what she stands for during our #30Seconds Twitter chat. Q: What made you decide to run for US Congress? This has been five years in the making for me. I’ve been going to D.C. for 15 years on behalf of my professional associations EatRight.org and American College of Sports Medicine to do advocacy related to food, nutrition, health and physical activity. I’ve been serving the state of New Jersey on the Governor’s Council for Physical Fitness & Sports for over 15 years. I believe in citizen government: of the people, by the people and for the people. I am uniquely qualified to be a congresswoman, bringing 30 years of professional experience; I’ll represent the needs of my constituents because I grew up in the district, raised my kids there, am a part of the community and am relatable. Who better than a health-care professional to help fix health care? I also have made a living helping others – in addition to lifelong service as a volunteer. There is no better time to run independent of a party line than now. Q: What are the platform issues you are running on? Term Limits: The founders never intended for members of Congress to have lifetime appointments. I also believe it would cut down on the partisan politics if there was more frequent turnover. Tort Reform: Our legal system is a mess. From medical malpractice (which impacts the cost of health care) to frivolous lawsuits and even family law … our legal system is cost prohibitive-only those with money win and have access. Health care is in turmoil. Our current system is broken. Obamacare is helping those who can’t afford it, while putting disproportionate financial strain on others. Health insurance companies are the only ones who are happy. Education must be adjusted, for affordability and to accommodate non-traditional education-like trade and vocational schools. I’d love to see people who attend trade schools receive degrees equivalent to A.S. or B.A.-remove the stigma! Q: You mentioned family law, which is not typically discussed a lot by candidates. Would you please elaborate? Family law is important because getting married is easy. Getting out is a disaster and expensive! Not one state does it well. The only people who win are the lawyers while families are destroyed. Child support and custody need to be fixed. It costs less than $100 to obtain a marriage license in the U.S., yet it costs hundreds, thousands and 10's of thousands of dollars to end a marriage. Some divorces drag on for years-leaving everyone emotionally and financially ravaged. Child support guidelines must match the current real cost of living and be enforced, even across state lines. The formula needs an overhaul that de-incentivizes people from hiding their money. You know who loses – our children. Some people end marriages because of abuse, yet the family law system is slow, turns into high conflict, and is often unfair b/c judges can be biased. It is a cottage industry that bankrupts families due to fees for the lawyers. Q: How can health care be improved? Let’s start w/the fact that I’m a registered dietitian, nutritionist and exercise physiologist. I’m board certified in lifestyle medicine. I’m all about non-pharmacological intervention and access to it. Diet and exercise are the least expensive, least invasive and most effective way to prevent and treat disease. Our society has become dependent on quick fixes – pills and procedures – that is all insurance pays for sick care vs. health care. Medical malpractice needs to change because its killing physicians. I want to ensure that physicians who invest a lot of time and money in their education and training are the ones deciding on our treatment plan. Defensive medicine is expensive. Right now we pay health insurance companies to do absolutely nothing – they have fooled all of us. We pay them, they negotiate low rates with providers and we end up paying the difference because of the deductibles. Q: You are also very passionate about mental health care. Tell us why mental health is important to you. Our health-care system is broken, there is little access to mental health care from psychiatrists to behavioral health programs to counseling. Very few providers take insurance, which means people are not getting the care they need. Bullying, anxiety, depression, ADHD/ADD, bipolar disorder, self-harm, drug addiction, violence to others and suicides. If we had access to care, which can take time to be effective, I think we’d see better outcomes. We need to remove the stigma of mental illness. Nobody chooses to be that way. It’s about our neurochemistry. No different than someone who produces too much cholesterol or not enough insulin or testosterone. The majority of gun violence is due to suicide. Suicide is a permanent solution to a temporary problem. Two-thirds of suicides are completed with guns. Most work the first time. Q: Speaking of guns, this is a hot topic in our country and I’m sure has been brought up to you many times. How are you handling this? Admittedly, I am not a gun owner, nor did I grow up with guns in my home. I have easily spent over 100 hours learning about guns, gun violence, gun laws at the state and federal level. I have been listening to opinions on both sides. It is not an easy fix and people ARE passionate about it – to the point of bullying me on social media – which really doesn’t help fix the chaos but acts like a filibuster. Guns harm but are fired by people. So, let’s look at the cause of violence, mental illness, abuse, crime, due to lack of access to decent jobs and gang violence. These must be our priority to fix. I do think raising the age for gun ownership might be worth considering, in addition to better infrastructure for background checks, gun registry and ensuring all states have the same minimal standards for conceal carry. I support the constitution. I do think the second amendment activists must come to the table with the anti-gun folks to really listen to each other and help come up with a solution. Absolutism is not a reasonable solution. Q: How can people support your campaign? 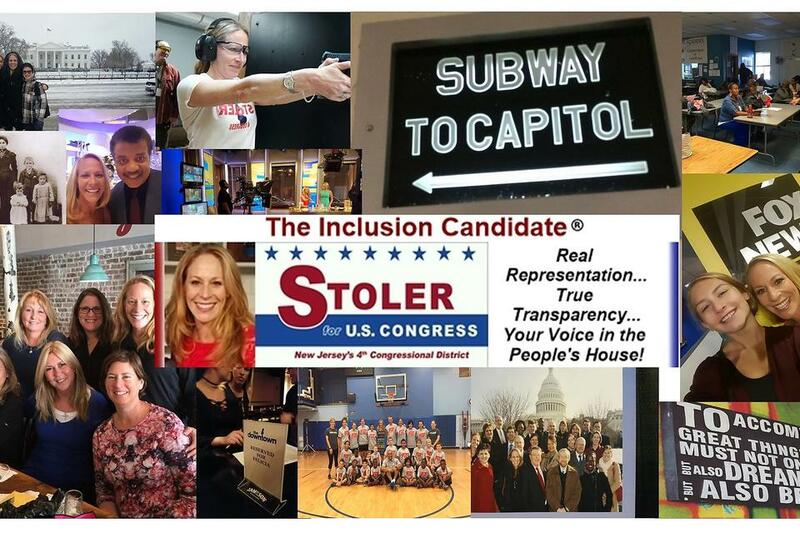 I would love it if everyone would LIKE and FOLLOW my campaign on Twitter @stoler4congress, on Instagram @feliciastolerforcongress, and SHARE with your tribe! If you would consider supporting my campaign. Everything from a $5 to $10 contribution helps because Congress makes laws for everyone! Get out and vote no matter where you live! If you want change, you must exercise your right to vote. It is powerful, especially during mid-term elections and for all state and local elections. Participate in dialogue with me to let me know what is important to YOU on a federal level! I want to hear from all constituents and citizens. We need more women, scientists, health-care professionals and moms in Congress! Be sure to read Felicia Stoler's 30Seconds tips! 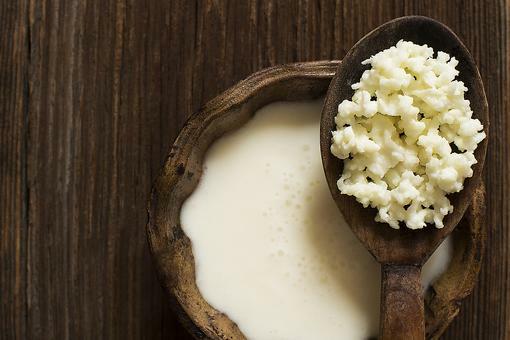 Fermented Foods: 4 Things You Need to Know About This Food Trend! 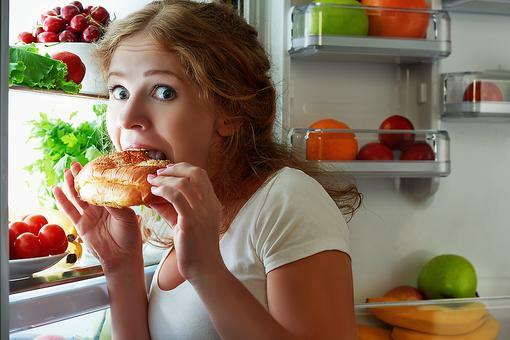 Healthy Eats: 5 No-Brainer Ways to Curb the Munchies & Fill Full Longer! How to Beat the Inevitable Fall Energy Slump (It's Coming)! Meet U.S. Congressional Candidate & Tribe Member Dr. Felicia D. Stoler!